Init: CPU Features: CMov FPU RDTSC PAE MMX KNI 3DNow! Init: GL_RENDERER   : GeForce 6200/PCI/SSE/3DNOW! maybe see if he has version of OpenGL? (3.7) and the latest nvidia drivers? Edit, maybe it has something to do with this? I have similar specs, 2.2 Ghz amd athlon XP 3200+, 2.0G RAM, nvidia geforce 6200 AGP (EVGA) and I can run UT at 1024x768 with AA and Anisotropic filtering off, 32 bit color, textures on low and skins on high and average around 75 fps in a siege game. 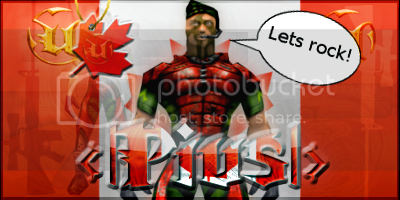 Last edited by <|Pius|>; 07-07-2011 at 05:37 PM. rub a giant magnet across your hard-drive to be 100% sure. Only if you want the hardrive to have nothing on it after words.